CDAC MBA IT Admission 2018 dates have been announced for the MBA in Information Technology which is a 2-year full-time program offered at Centre for Development of Advanced Computer (CDAC). CDAC Noida, established by Ministry of Electronics & Information Technology, Government of India is conducting MBA programme specialised in Software Enterprise Management since 2006 and affiliated to Guru Govind Singh Indraprastha University. Admission in CDAC MBA IT will be done on the basis of the (IPUCET 2018) Indraprastha University Common Entrance Test (IPU CET Code 116) Written Test Conducted by Guru Gobind Singh Indraprastha University. The admission to the CDAC Noida will be based on the basis of the IPU CET Exam (Code 116) conducted for the MBA Admission to the GGSIPU Affiliated Colleges. Given below are the dates are the important dates related to CDAC Admission and IPU CET Exam. Admission into MBA IT program at Centre for Development of Advanced Computer (CDAC) is done through a Common Entrance Test (CET) which is conducted by Guru Govind Singh Indraprastha University so the candidates have to apply only through online mode for CET on the official website of Guru Govind Singh Indraprastha University. To fill online CET application form, the candidates have to follow the guideline given in detail in the CET application page. The candidates have to click the link given below for GGSIPU CET Application 2018. The candidates who will fill CET application form successfully will be able to download the admit card on the official website of Guru Govind Singh Indraprastha University. CET admit card will be available online 7 days before the examination date. The candidates can download CET admit card using login ID and password which was used during filling the CET application form. Admit card is a mandatory document for whole admission process and the candidates will not be allowed to enter the examination hall without CET Admit Card. IPUCET Admit Card 2018- Download Here! Applicants are required to pay the online application fee for the IPU CET 2018. The candidates have to pay Rs 1000 as the application form fee for each of the individual course. The application fee is to be paid before the last date of the application submission. IPUCET Admit cards will be issued to only those candidates who have successfully paid the application fee. Modes of Payment: Applicants are required to pay the application fee in online mode only there is no offline mode for the payment. After completing the application form applicants can pay using any of the modes listed below. 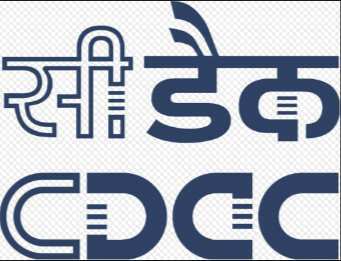 Candidates admitted to the Centre for Development of Advanced Computer (CDAC Noida) has to pay the total course fee of Rs 1,50,000. Candidate can pay the complete course fee in instalments. There are four instalments to pay the course fee by the candidates thus making each instalment of 37,500 Per semester of the CDAC MBA Programme. The candidates are selected for admission into MBA IT program at Centre for Development of Advanced Computer (CDAC) on the basis of performance in CET (Common Entrance Test). CET examination will be held on 21 April 2018 and the candidates submitted CET Application Form successfully will have to appear in the Written Test. CET written examination result will be announced on 3 May 2018. Guru Govind Singh Indraprastha University (GGSIPU) will announce the counselling schedule soon. The candidates qualified in the CET written test 2018 will be called for counselling process as per the announcement of result on the website. CDAC MBA IT has a state of the art placement cell which ensures 100% placement of the students who are studying there. Top class recruiters visit CDAC over the years to recruit the students and the average package offered by these recruiters is over the normal pay package in the market. The following companies visited CDAC last year to hire the MBA IT students.